Welcome to the Estoril Coast in Portugal. The Estoril Coast and Lisbon have so much to offer the visitor. Apart from its beautiful beaches, this area has historic, architectural and cultural events to entertain all visitors. From your base in Estoril it is possible to visit many of the towns and cities of the region. Only a half hour journey by train from Cascais/Estoril, Lisbon is Europe’s second-oldest capital (after Athens), once home to the world’s greatest explorers like Vasco da Gama and Magellan…one of Europe’s most captivating and picturesque capitals. Built on a series of hills with scenic views from every angle, it has one of the world’s largest natural harbours, and with vintage trams and medieval village like neighbourhoods, a visit to Lisbon is like stepping back in time. Another town that is well worth a visit is Sintra, one of those places with a magical atmosphere. High in the hills on a strategic location it was conquered by Moors and Christians. It is a World Heritage Site and offers many historic buildings to visit, such as The Royal Palace, The Quinta da Regaleria, Monserrate Palace and Park, The Pena Palace and the Moors Castle. The buildings offer various styles of architecture and house a wealth of antique furnishings and art collections. Porto’s historic centre is the Ribeira district, a Unesco World Heritage Site where Porto residents mingle before old storefronts and village-style plazas. 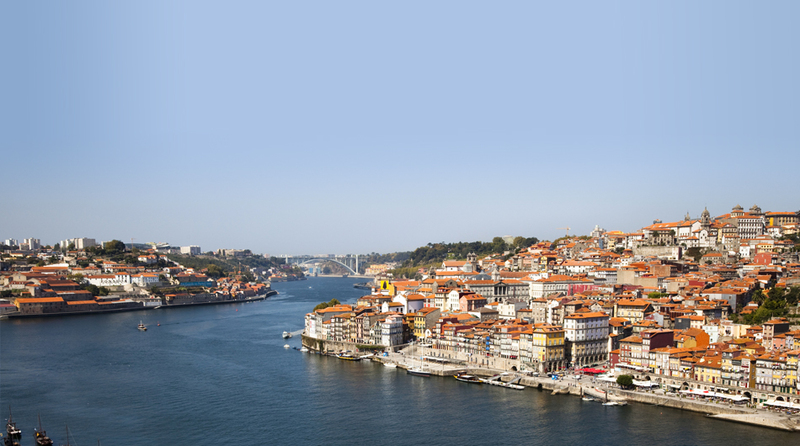 Wonder at the soaring bell towers and beautiful baroque churches, stroll along the mighty Douro river, or visit one of the ancient lodges for a spot of port wine tasting. If you’re looking for somewhere to relax, visit one of the glorious sandy beaches such as Matosinhos. The Estoril Coast and Lisboa have a lot to offer the visitor with its historic, architecture and cultural events to entertain all visitors as well as beaches, golf and other sports, restaurants and other useful information. Lisboa is a half hour journey by train from Cascais/Estoril and if you decide to stay in either Estoril or Cascais it is easy to travel for sightseeing. All offer dialysis Monday to Saturday and accept the EHIC as payment.